A special education teacher at T.C. 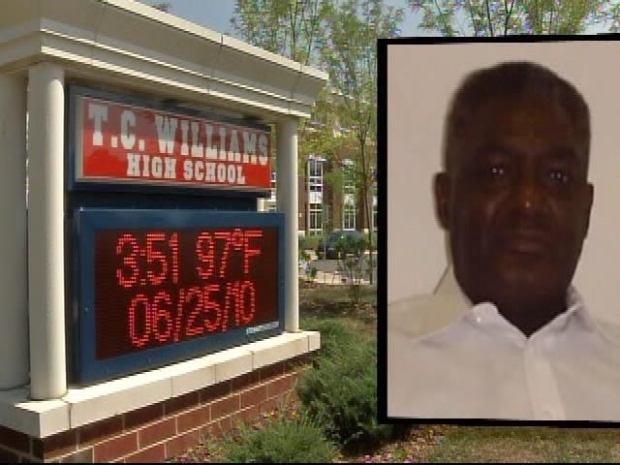 Williams High School in Alexandria, Va. is accused of inappropriately touching a female student. Reginald Brown, 72, has been charged with sexual battery. Brown had been working at the school for five years. The 16-year-old accuser told police that Brown touched her in a classroom back on Monday, June 7, when school was still in session. She said there were other students there at the time. Investigators corroborated the teen's story and arrested Brown the following day, said Alexandria Police Sgt. Bart Bailey. The Alexandria community reacts to word that a local teacher is accused of assaulting a student on school grounds. Alexandria City Public Schools sent out a letter to parents to let them know about the arrest. "ACPS took immediate action as soon as we became aware of the allegations," said Amy Carlini of the school district. "He was immediately placed on leave; he had no further contact with students." School leaders are encouraging any students with any information about this or other incidents at the school to come forward.